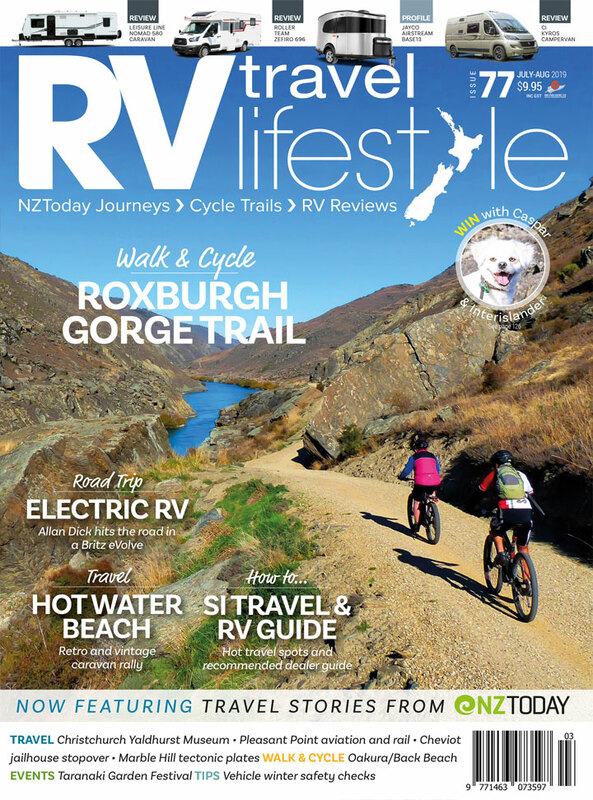 We’re working our way through New Zealand bike rides, and after the Central Otago rail trail and the Hauraki trail, next up on our list was the Twin Coast trail or Pou Herenga Tai in Northland. We’re just recreational riders knocking on in years, using everyday bikes and no fancy equipment, so we plan our rides accordingly, with daily stage lengths of 40km or less, and a relaxed timeframe that allows rest and sightseeing time en route. We use our campervan as home base for each night. It’s a two-berth Toyota HiAce Jumbo, sleeping two comfortably, and able to carry the two bikes either on a double carrier on the tow bar, or one on the towbar and one inside the van. It’s our impression that the van handles rather better with one bike inside, rather than both on the tow bar, affecting the weight distribution. Planning the route involves working to our preferred stage length and taking account of gradients, because an overall downhill profile makes for an easier day’s ride with less strain on ageing legs! Next, we relate that to the availability of campsites, and when necessary organise shuttle back-up. We began our ride from Kawakawa as our first base. We parked in the town freedom- camping site behind the main street shops – there are toilet facilities close by, notably the famous Hundertwasser toilet block, for those who want to do their stuff in style! – and stayed there overnight on Thursday before beginning our ride on Friday morning, wondering how the weather would treat us as it had been a cool night, and early on it was still quite chilly as the sun rose behind the trees at the back of the parking area.